Jessica Nagle is currently an active investor in a range of start-up ventures with a special interest in healthcare. Prior to her angel investing focus, Jessica co-founded and was principal of SNL Financial, the premier provider of sector-specific financial information to leading global banking, trading and investment firms. In 2015, after 28 years of rapid expansion and growth, SNL was sold to McGraw Hill Financial. 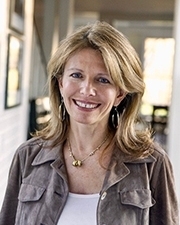 Jessica held many various positions at SNL, including director of marketing where she spearheaded the design of the corporate web site through which the company’s business intelligence and financial data services are delivered to investment professionals and leading Wall Street institutions in corporate management. Jessica also managed the company’s physical infrastructure, including office locations around the world and data centers in Pakistan and India. Jessica began her career in the Commercial Real Estate Finance Group at Bankers Trust in New York. A graduate of the University of California at Berkeley, she holds a Bachelor of Science degree in Biology and Sociology. She sits on several boards including the Aperture Foundation, Campaign for Tobacco-Free Kids, PingMD and Quidd. She resides on a farm in Albemarle County, Va., where she raises grass-fed Piedmontese cattle.